Enyel De Los Santos has been optioned to Triple-A. 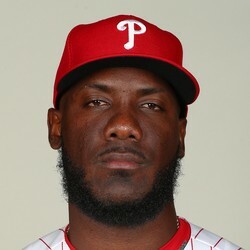 De Los Santos made a relief appearance for the Phillies Wednesday, allowing three hits and a walk with a strikeout over 1 1/3 scoreless innings. He should continue to see starts in Triple-A as one of the teams top pitching prospects.